I agree. We need crosswalks on all three sides of that three-way intersection, repainted regularly, and traffic signals to protect the pedestrians. Take down the hostile no-pedestrians signs. But I’m not holding my breath, because from all I’ve seen, pedestrian and cyclists are an afterthought to PennDOT. (The bridge is county property but Route 837 is state). I’ve heard that Route 837 in that vicinity will be refurbished soon. So now is a good time to submit requests. A couple spots on McKnight Road are comparatively safe to cross. The Perrymont/Babcock corner, the Babcock/Peebles corner, and the Patrick Place corner (Panera, Goodwill), despite 30K traffic counts and cars going every which way, you can get across that big honking road without any drama, most of the time. Someone did their homework. Whatever we gotta do to make crossing other big suburban thoroughfares like this fairly easy, yeah, let’s. Stu I give you props for biking on McKnight road. My goodness. Ya know I really appreciate that they put bike lanes on the Rankin Bridge; but I tend to cross on the sidewalk. 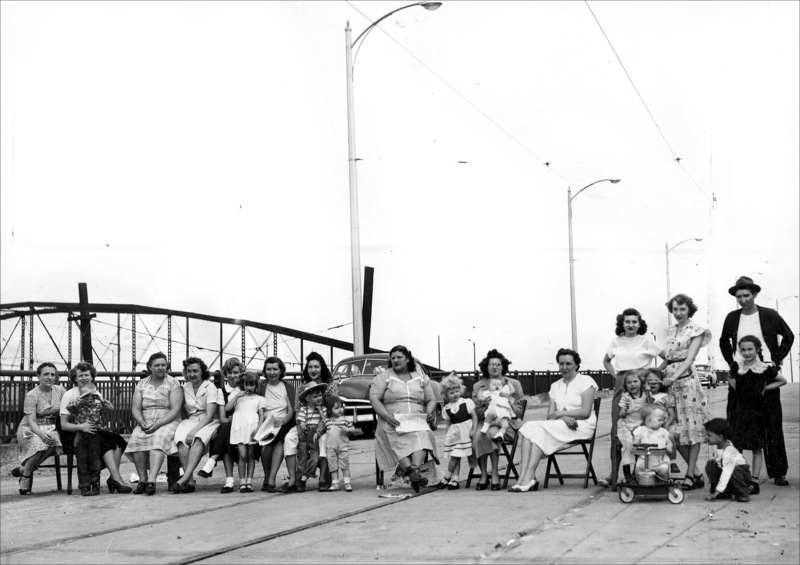 To me it’s similar to the 40th street bridge – I have the right to take my space on the roadway, but I’d rather live to make it to the other side. I haven’t had any issues actually crossing the bridge in the bike lane. I’m totally comfortable there. Just getting to the bridge from the gas station is the dangerous part. Paul, that’s interesting. So I guess they got sidewalks added? Which don’t connect to anything? 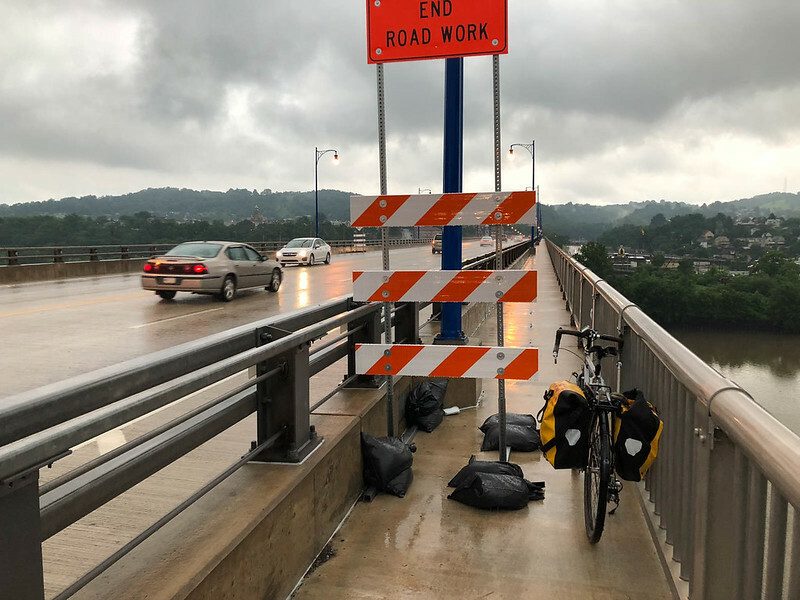 Everything about the Rankin bridge bike infrastructure seems ill thought out and about 10 to 20 years behind modern standards. It boggles my mind that the bike lane is next to50mph traffic instead of on the protected side of the sidewalk barrier. There’s a beautiful barrier specifically for keeping safe from getting hit by cars. And yet it was put in the wrong spot so it doesn’t actually protect most of the people who could bennefit from it. If the sidewalk and bike lane were both on the protected side of the barrier, it would also be possible to plow without a special tiny plow truck. Handling of the entrance/exit ramps could also be drastically improved. Following the intended path puts cyclists in danger. It is safer to continue along the side of the road rather than cross into 50mph traffic. Finally, the sharrows northbound after the bridge are so close to the curb that they are pointless at best. Riding where depicted by the sharrow is actually quite dangerous. It’s a shame that we didn’t get it right this time around. The right design, a safe design, wouldn’t have cost more. To change it now would be prohibitively expensive. So we’re likely stuck with a mostly unprotected lane for the next 80 years. I cross the Rankin bridge on occasion. I’m ok with the on-bridge bike lanes. But maybe that’s because I’ve been biking hereabouts for too long. The major issue for me is that they don’t sweep the lanes often enough. The biggest problem is going southbound then westbound to the Waterfront Br. There’s little room for a bike and the downhill merge can be downright scary. How hard could it be to at least have a flashing yellow light? This stretch is the biggest Rankin Br problem. Coming up eastbound to the bridge is somehow ok, maybe because the road is wider? Once you cross the bridge it depends on your heading. Traffic comes in bursts (due to the lights) so it’s manageable. Eastbound Rankin Bridge bike lane had a shredded truck tire, drywall, lots of sand and gravel, and broken glass today. It’s more of an obstacle course and debris zone than a bike lane. 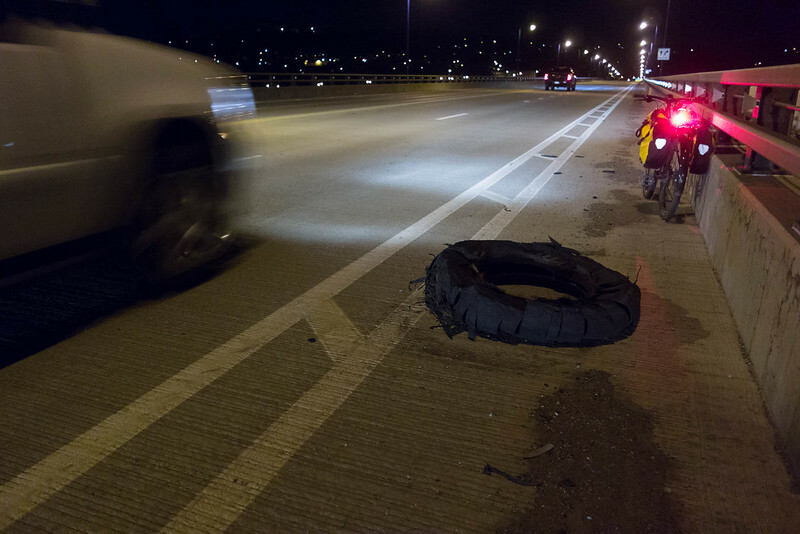 The truck tire has been there for at least a week. Did you call anyone about it? it is a county road. 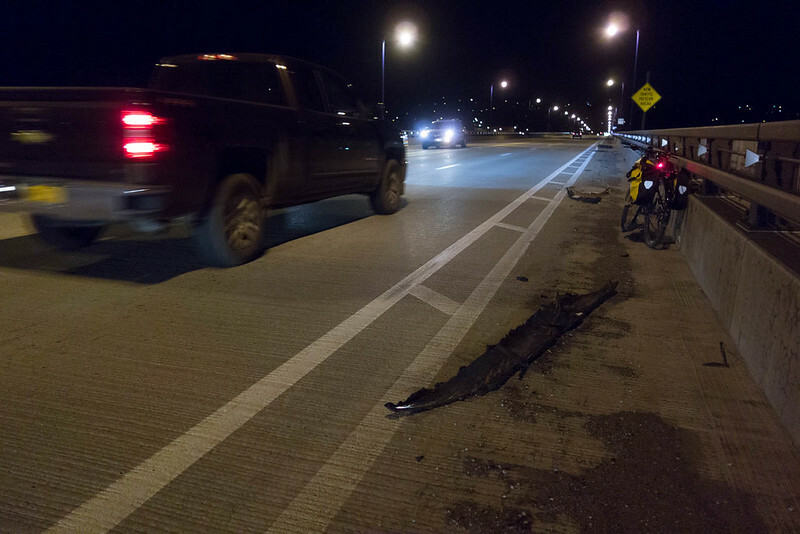 I looked at the bike lanes today and it appears the biggest debris (whole tire, pieces of tire) are gone, but the smaller stuff (6 inch long bits of car bumper(? ), short pieces of rope, a few rocks 3 inches in diameter, broken glass, and lots and lots of gravel, is still there. Apparently they didn’t run the sweeper yet. Both Rankin Bridge bike lanes got swept today (by the county, presumably). They’re clean now; no gravel. This has worked in the past to get these issues fixed. 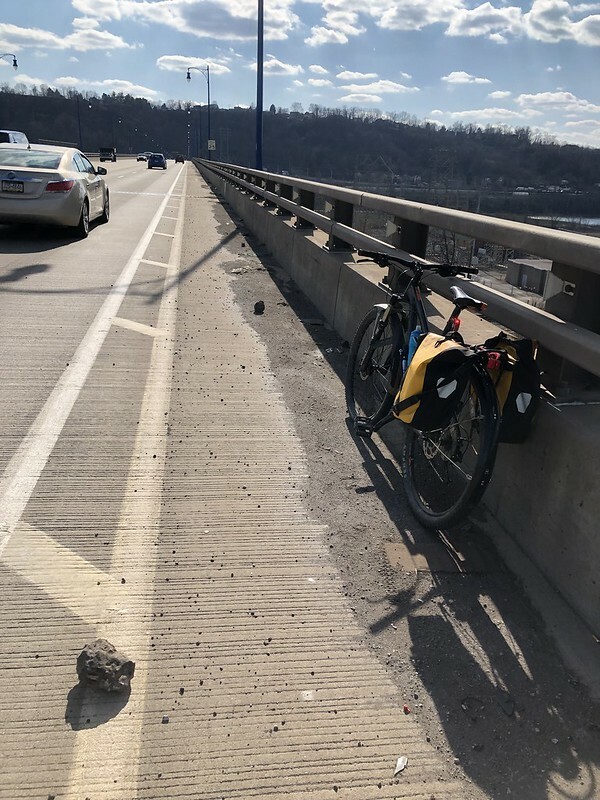 westbound bike lane of Rankin Bridge as of 3/19 has rocks, gravel, broken glass, and car parts, needs to be street-swept, because cyclists are put in greater danger of being struck by the speeding cars and trucks if they can’t use the bike lane.